These bedheads make any bed look stylish and are the perfect addition to any bedroom. Our bedheads are modern, strong and build from solid oak timber. Brighten your bedroom with a bedhead made from 100% all natural linen available in a great range of colours. 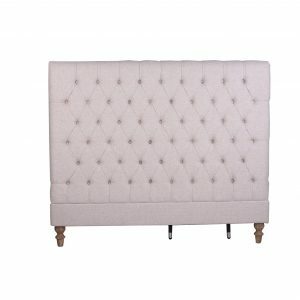 Specialising in the French Provincial style we can assist you to pair your preferred headboard with a modern looking bedside table set or chest. Shop with us for high quality oak timber furniture with a modern contemporary look. We deliver Australia wide to all major cities including Melbourne, Sydney and Perth. Buy from us easily and securely online using Afterpay.